I grew up in a family of artists, and constantly surrounded by art. As a child, one of my favorite pastimes was to pull my parent’s oversized art books off of the shelves, and make up stories to go along with the images. One of those books had a portrait of my mother as a young woman in it. A photojournalist had captured her image during the 1968 Democratic Convention, where she had been watching riots unfold below her hotel room. I would stare at her complex expression for hours, in awe that time and being were frozen for me to see. Later, in high school, I spent days in the attic digging through boxes of faded discolored slides, searching through my grandparent's vacation snapshots and piecing together family history. 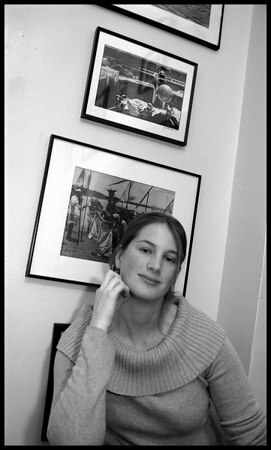 Photography allows me to depict the world as I see it, and encapsulate life and identity. I find it breathtaking when soft light mingles with passing actions or brief expressions. I love the fact that these silent moments of perfect natural composition can be viewed beyond my own eyes, and that they can be repeatedly reflected upon by others for years to come. I have over ten years of photography experience and have shot everything from private gardens to primary rainforests and sporting events to wedding events. My style is primarily photojournalistic, meaning that I prefer to photograph people, places and events naturally, without directorial interaction. I am a member of Wedding and Portrait Photographers International (WPPI), PhotoEmerge, and the Boston Photographic Resource Center (PRC). 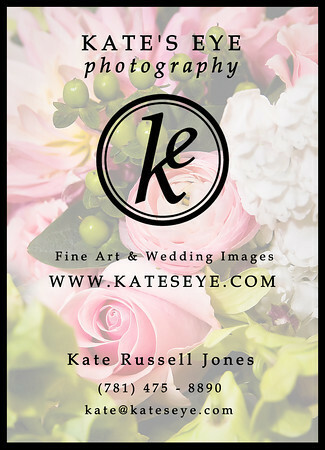 In addition, Kate's Eye Photography is a certified member of Greener Photography and received a two leaf rating from Green Bride Guide. I am based in Ashland, Massachusetts (in Metrowest, near Framingham) and serve Boston and the New England area.